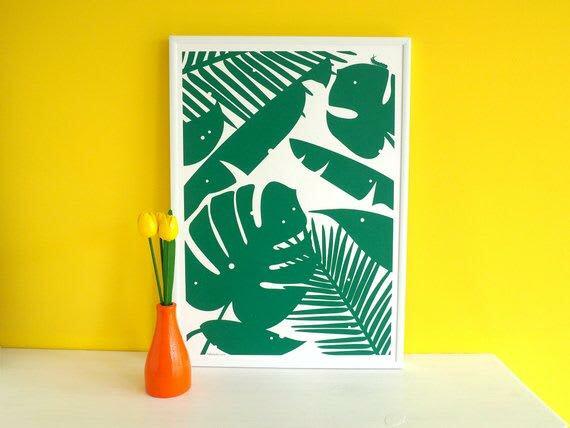 Who doesn't love tropical plants that are impossible to kill? But wait, what are those tiny holes in the leaves? Nibbles the caterpillar is at it again, can you spot him? This design is hand printed with green water-based, toxic-free ink on 200gsm acid-free Fabriano Artist Paper. Form in Hull, United Kingdom.